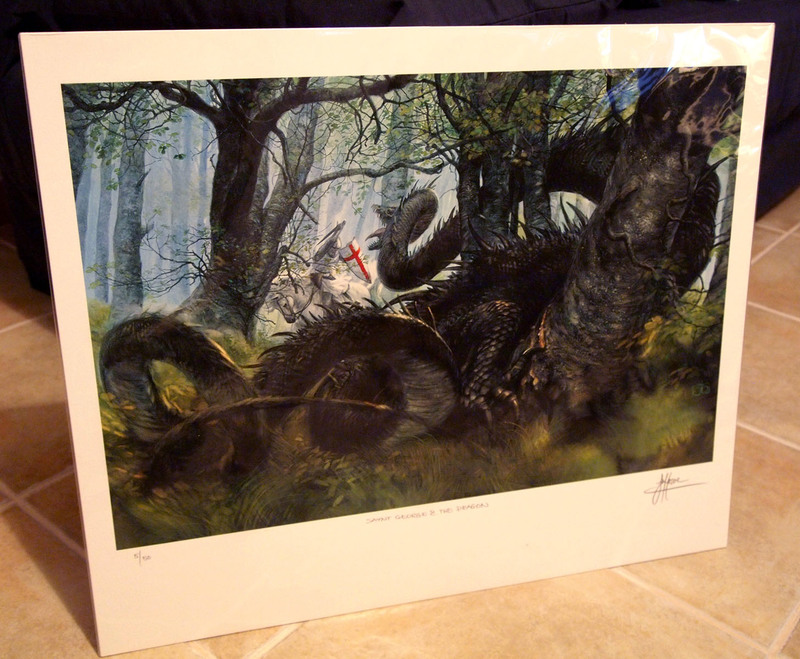 On an unrelated note… I just received a wonderful limited print of a piece by John Howe (signed by the artist). It is truly a remarkable work of art. The detail in there is fascinating and the energy of the composition is palpable. I really like his take on the dragon as a wormy, serpentine figure, far from the glamorous winged creatures we’re so accustomed to in fantasy art. So I’m slowly getting back in business nowadays. 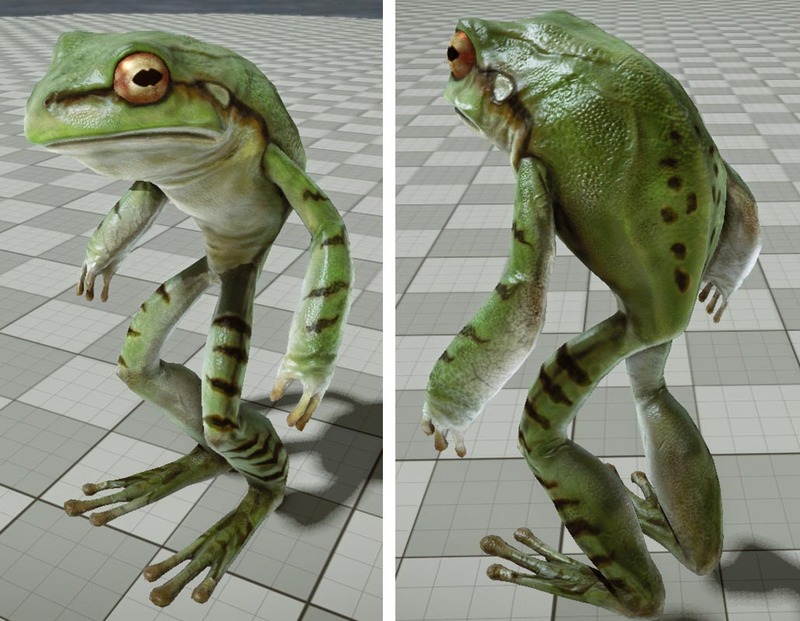 And I was curious to see what the lowrez frog model would look like under the sun of the CryEngine 3, so I quickly threw it through MayaCE3. After tweaking a bit the skin shader within the editor it came across fairly close from the Mudbox look.